This add-on will provide a great booking experience to your salon’s customers. Use your salon’s Facebook fan page messenger to get reservations with our Salon Booking Chat-bot. 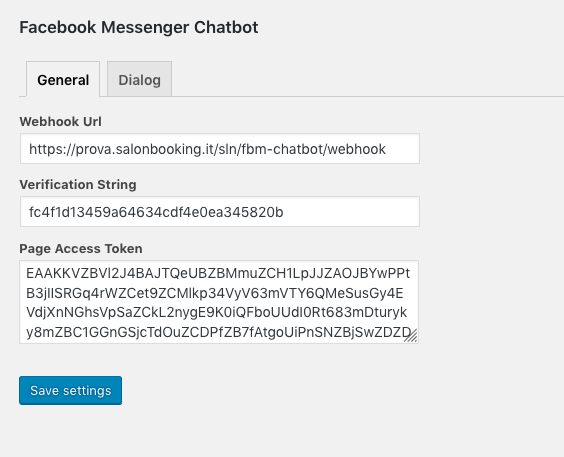 This chat-bot is fully integrated with Salon Booking system on your website and is able to get reservations trough messaging. 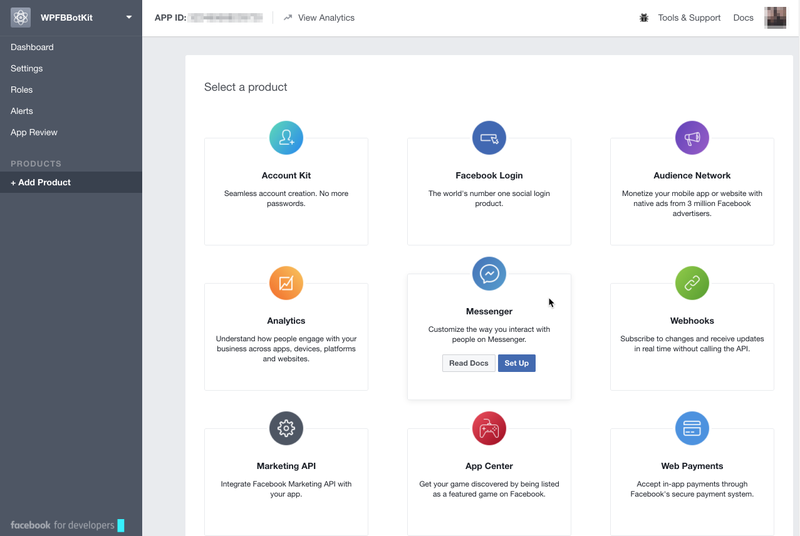 Inside your newly created app click Add Products and select Set Up under Messenger. On the Messenger Setup page, scroll down to Token Generation and click Select a Page and select your page. You may get a pop up window from Facebook asking you to authorize your app to manage your page – if you do, just follow the login screen and authorize the app. Next click on the Page Access Token box to copy the access token – then go your website back-end and click on FB Chatbot settings screen and paste the access token into the Page Access Token textarea and click Save settings. 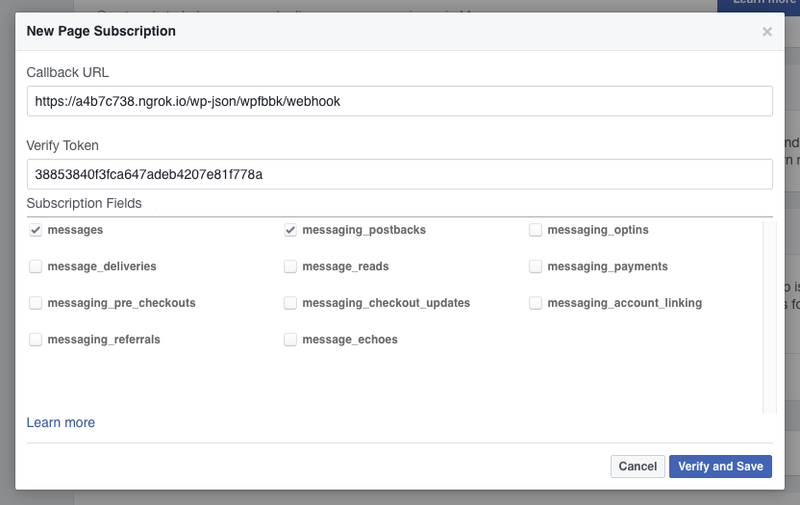 Back on the Messenger Setup page, you can now select Setup Webhooks and copy your Webhook URL from the Facebook Messenger Chatbot Settings page into the Callback URL box (make sure to use https and replace the site’s url with the Ngrok url if you’re using a tunnel) and the Verification String into the Verify Token box. Check the boxes next to messages and messaging_postbacks under Subscription Fields and then click Verify and Save. You should see a working indicator and then the modal will disappear if everything went well. If there were any issues, you’ll see a red “X” in the url field and you can hover over it for more information. Finally, you can select your app from the dropdown next to “Select a page to subscribe your webhook to the page events” (still in the webhooks box, and click Subscribe. Now you’ve finished the setup of your Salon Booking Chat-bot. To test it open Facebook Messenger and select as “To:” the name of your page. Then follow the instructions from the Chat-bot. Once you have successfully tested the Chat-bot you need to publish your app to make it available to your customers on Facebook. Once the app has been approved you are ready to go.